I am very pleased with this rug. I love the Southwest feel to it. Looked just like it did on my monitor. What I did not see was the texture variation (some plushier, some lower), which is very charming and adds a lot of visual dimension. 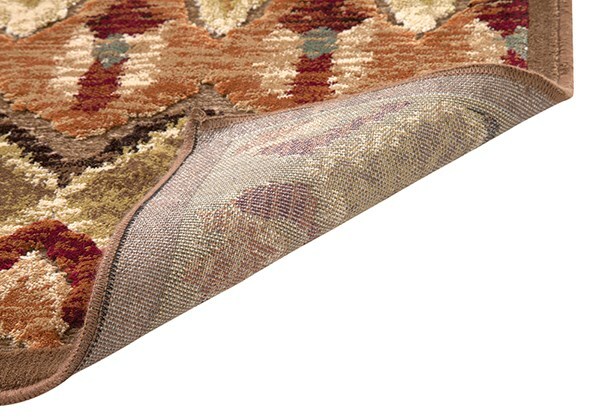 I like how it was lighter on one side and darker on the other, like real oriental rugs are. Very pleased. 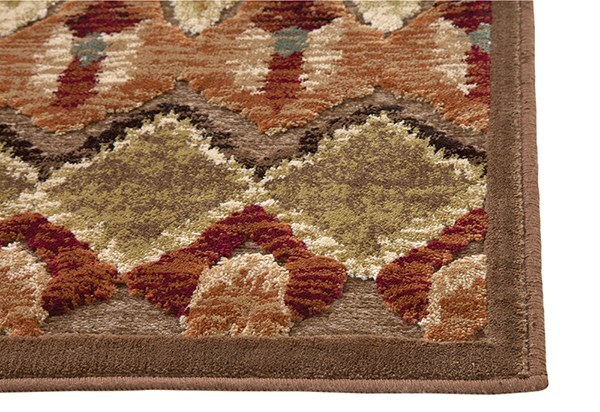 Although I was somewhat surprised with the colors in this rug, I do like it quite a bit. 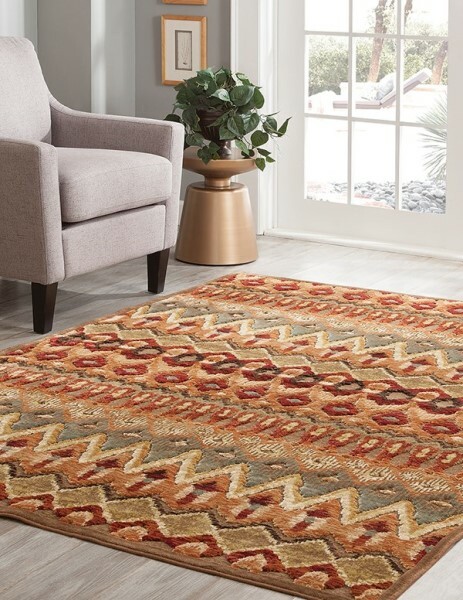 (It would be nice to see a sample of a rug prior to purchase.) It is more earthy than the orange/rust I was anticipating. 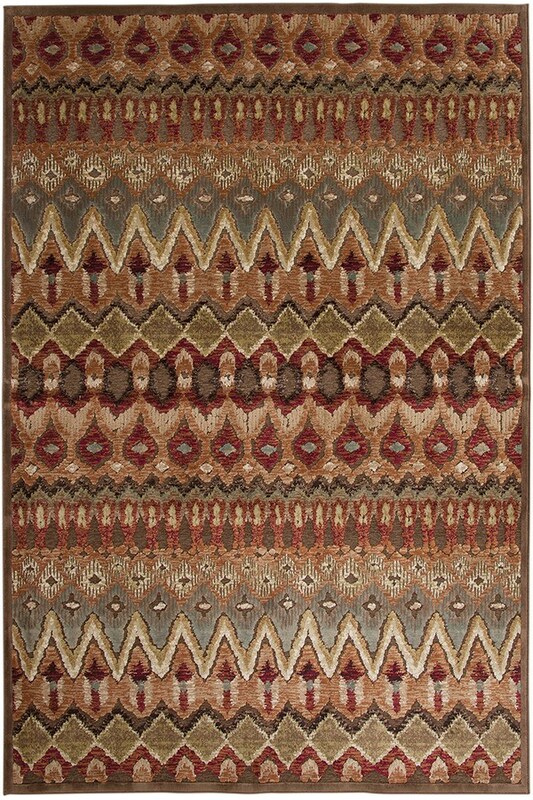 It has a very nice chenille texture with highs and lows in the weave.